With only 23 days left until Christmas I thought I might share some gifts I've been eying, for both my friends, and myself. 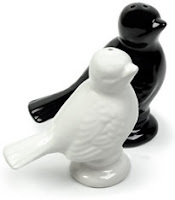 Ceramic sparrow salt and pepper shakers, $14 from Fredflare.com; cute 3" birdies I would love to place on my table. I love anything with a function that is also adorable to look at. 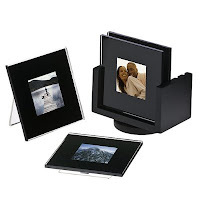 Photo coasters - I got these for my mom and have already preloaded them with some fabulous snapshots I know will embarrass her! They can be purchased from a few different places and vary in price, I like this set of four from Target for $13.29. 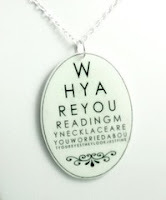 Eye Test Necklace, $23 offered by artist Tilly Bloom from Etsy.com is very funky and fun, and is a fantastic gift for any of your girlfriends who love having their chest stared at. The artist offers many other pieces of jewelry, all plastic with ink illustrations, very detailed and unique. Gem Earrings from American Eagle, they are gold tone branch looking hoops with gems inlaid, and are a great price at $12.50. 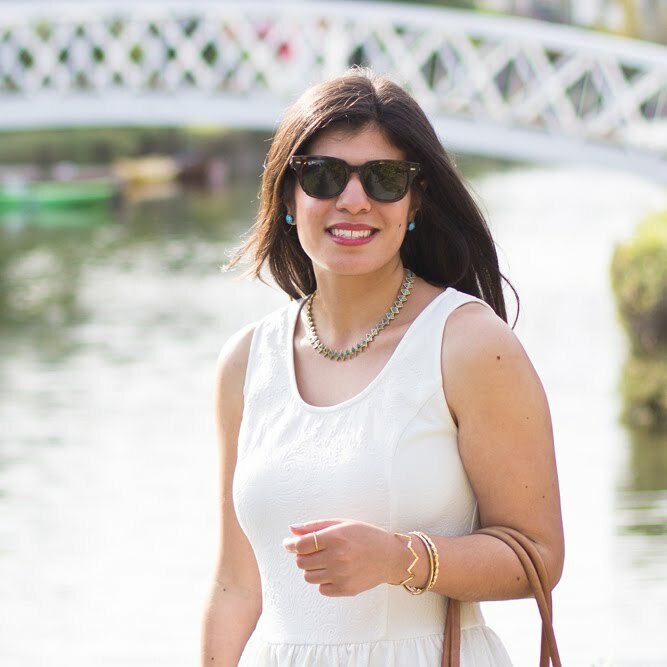 I've seen similar earrings from jewerly sellers like Lia Sophia for $44. 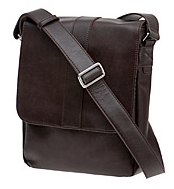 Chocolate Brown Messenger Bag, on sale for $19.98 at Aldo, would be a perfect gift for my brother. I wish they'd included some dimensions, but it looks big enough to shlep around a 15" laptop. Yes Frills Jewelry Organizer, is a white metal orginizer that is wall mounted, great for freeing up surface space in a small room. It has dozens of swirls and hooks, for necklaces, earrings, and bracelets. Offered online only from Urban Outfitters, and is $20. Mini Pocket Mirror, by free people comes in four sequined and embroidered variations, and at $14 is sure to add plenty of sparkle to an on the go makeup application. I love trapper hats with their fur and fringe, and Aeropostale has this one on sale for $14.75. The fair Isle print is always classic, and I think this could be good for both boys and girls.